Ready for a Bentley tow vehicle? Jeff Glucker August 16, 2016 Comment Now! If there's any stage perfect for a brand like Bentley to show off its latest and greatest, it would have to be Monterey Car Week. That's where folks rich enough to afford a Bentley assemble to look at high-dollar machines, talk about their own high-dollar machines, and spend lots of dollars on more high-dollar machines. Bentley knows this, and that's why the automaker is bringing a bunch of new high-dollar machines to California. The one we're most excited about? 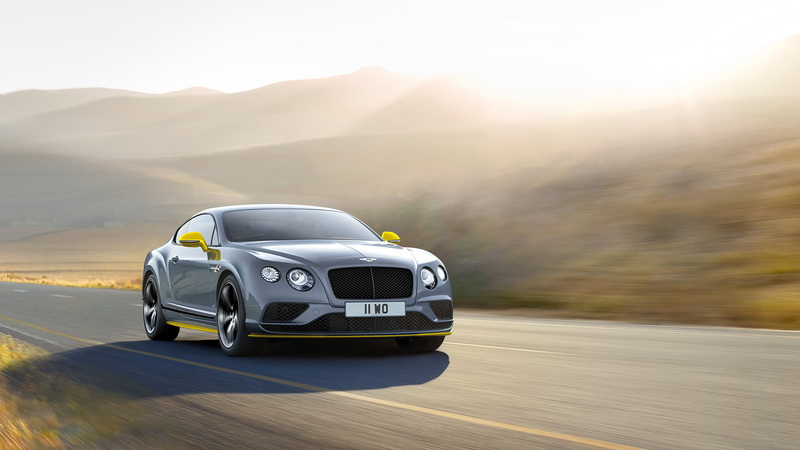 It's not the 206-mph Continental GT Speed Black Edition. 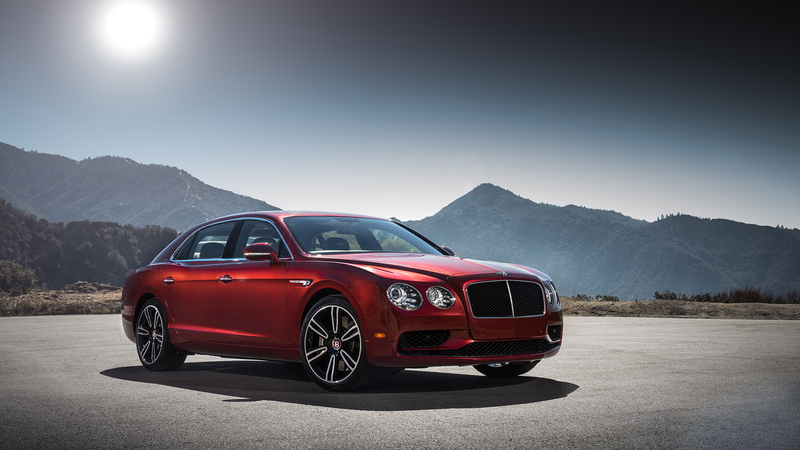 Nor is it the new Flying Spur V8 S. No, it's the one Bentley in the lineup that just received the first optional tow bar in the automaker's 97-year history. Bentley is bringing a Bentayga that's ready to haul, and we don't mean, ahem, behind. Though it hauls that, too. 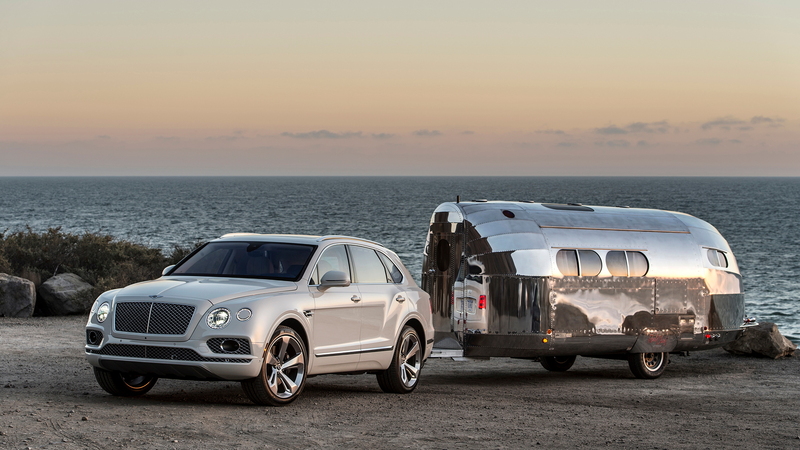 Bentley has teamed up with Bowlus to create one heck of a camping rig. The Bentayga is towing a Road Chief, which is essentially an all-aluminum travel trailer that provides serious luxury and good looks. You might be tempted to call it a rip-off of an Airstream, but you're wrong. Bowlus begat Airstream, as Airstream was started by a former Bowlus marketer. Both vehicles are hand crafted, and the Bentley looks perfect for the task of hauling the shiny bit of nomadic art. The entire rolling affair will set up camp near Turn 10 at Mazda Raceway Laguna Seca. Now, if you prefer to be driven, Bentley still has a vehicle for you. 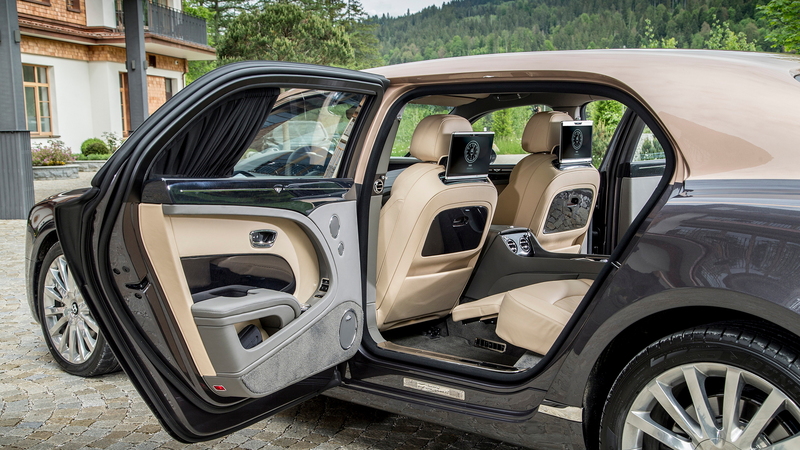 The British luxury marque is bringing it's Muslanne Extended Wheelbase model, which the automaker describes as providing "a first class air-travel experience for the road." 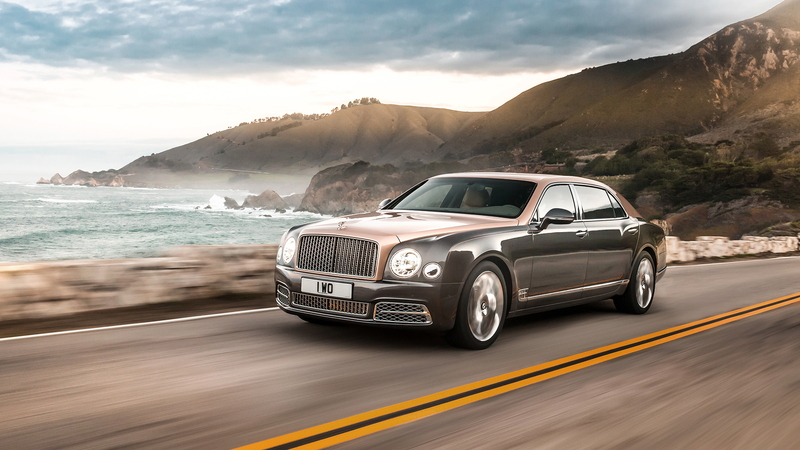 We love the Mulsanne, but we might choose the Bowlus-Bentley combo. Of course, if you're playing in this space, you can afford all three. Or hop into your Lamborghini and use that for towing instead. For more from this week's Monterey action, head to our Monterey Car Week dedicated hub.